When you hear that January’s weather has been colder than Alaska, one has to wonder, how can any of our trees, shrubs and plants survive these below normal temperatures? Monday’s quick tip – anticipate winter damage and potential replacements, especially if your landscape was newly planted. This would cover any landscape plantings done in the last two to three years as plants are still acclimating to its new digs and surroundings. One other word of caution to those with newly planted landscapes: hold off on any of your woody plant material winter pruning. Extreme fluctuations in temperature cause some of the worst winter damage. This can be typical of winter - a stretch of mild temperatures followed by plummeting, below zero, Artic weather. Plants get confused with these mixed temperature signals. Unfortunately, this is when new plants incur the most winter damage. It’s best to wait until mid-March to prune newly planted material, when the threat of damaging winter weather is behind us. Until then, keep planting some seeds. 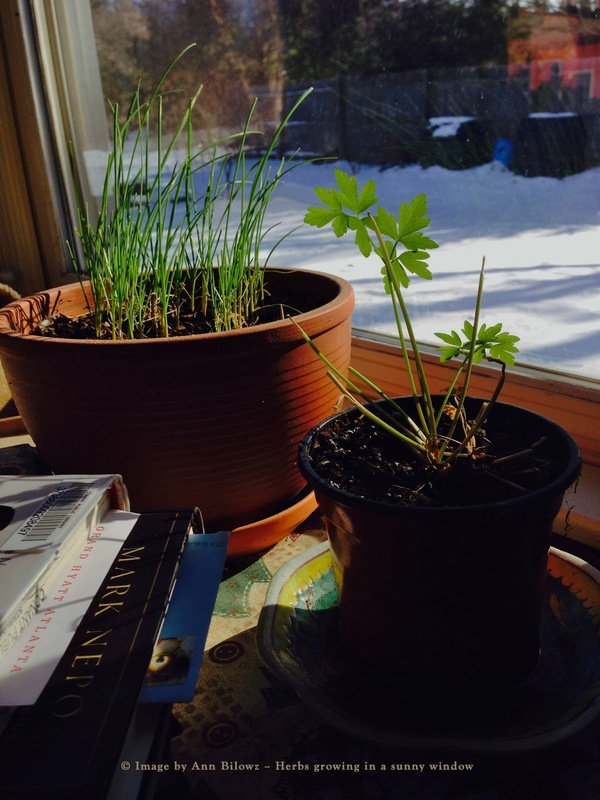 The above Chives and Parsley only require a sunny window and good potting soil. Herbs are easy to grow and useful in taking a dish from bland to tasty. Planting seeds 'give us the determination to make the right things happen.' Have a great Monday.